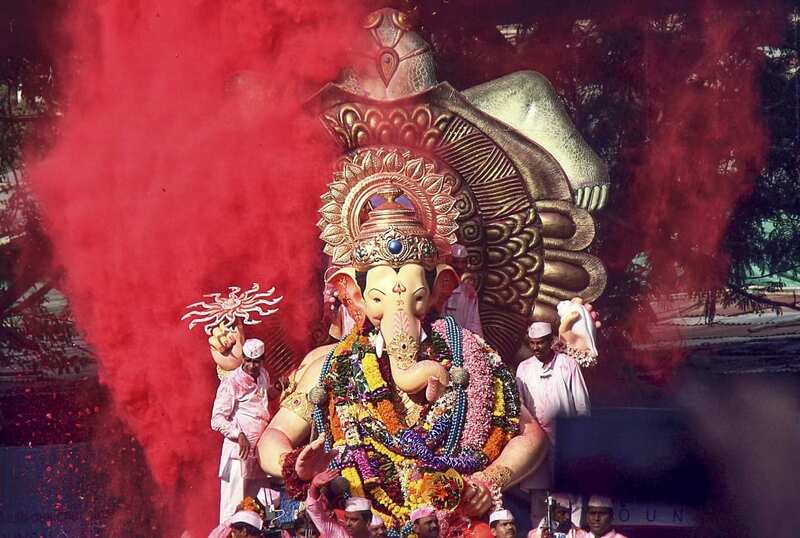 The spectacular Hindu Ganesh Chaturthi festival is a 10-day affair of colourful festivities, involving singing, dancing and theatre honouring the birth of the elephant-headed deity. The start of the festival sees huge, colourful statues of Lord Ganesha – one of the best-known deities in the Hindu pantheon and worshipped for bringing good fortune and removing obstacles – installed on elaborately decorated public podiums. 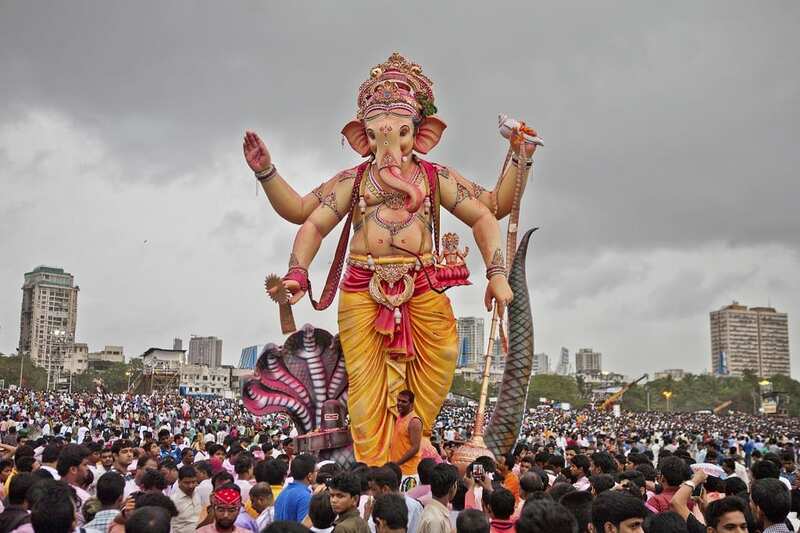 In Mumbai – formerly known as Bombay – this is the biggest street party of the year, so expect large crowds with bare-chested men and boys dancing to trumpets and beating drums, and local neighbourhoods competing with one another to erect the biggest and most impressive Ganesha statue. The Ganesh Chaturthi festival is also an opportunity for emerging artists to display their talents with the heart of historical Mumbai – called Girgaum and divided into wadis or smaller neighbourhoods – the best spot to immerse yourself into the local culture. For more Indian festivals, check out the Pushkar Camel Fair, Diwali and Ardh Kumbh Mela. On the last day of the festival, the Ganesha statues – usually made of clay – are carried in public processions to a nearby river or ocean where they are immersed in water and gradually dissolve. The Hindu recognition that the universe is always changing is thereby exemplified with the clay idols losing their form in the water – with only energy remaining. Also worshipped as the god of wisdom and intelligence, Ganesha is the deity that bridges the gap between all social strata and castes. It was independence activist Bal Gangadhar Tilak who managed to move the Ganesh Chaturthi worshipping from within the household into the public sphere, creating unity against British colonial rule. At a time when public political gatherings were banned by the British, the Ganesh Chaturthi religious celebrations became a way to build nationalism and patriotic spirit amongst the masses to oppose the British Raj. Where does the Ganesh Chaturthi festival take place? In India, the Ganesh Chaturthi festival takes place throughout the country and is especially celebrated in the states of Maharashtra, Goa, Karnataka, Tamil Nadu, Telangana, Gujarat, Chhattisgarh, Andhra Pradesh and Madhya Pradesh. The city of Mumbai (formerly Bombay) is one of the best places to experience this event. For updates on the Ganesh Chaturthi festival 2019, contact the official Indian Ministry of Tourism website.